I’ve said it before and I’ll say it again: being a mom is a lot of work. Heck, being human is a lot of work. But adding in one or more little humans to the mix adds so much more demand on your life, that sometimes it’s just hard to keep up. I wish I could say that having the energy and drive to run along side the littles comes naturally, but alas there are lots of things that I ‘rely’ on to help keep me charged throughout my day. Some may seem obvious, some different and some that are very personal to me. yes, I know everyone ‘needs’ coffee. It’s one of the obvious ones, but I personally never needed it first thing in the morning, or in the afternoon to get my to bedtime. But since being a mom of two, it’s in my morning ‘routine’. Coffee & peanut butter toast. That’s what starts my day. Even though everyday I think ‘soon I’ve gotta stop having this as the first things that go into my body’. But the day for that hasn’t come yet. Then around 2 or 3, it’s usually a ‘treat’ coffee where I add milk or add chocolate. It helps. Or I’ll have Yerba mate, another great natural caffeine drink. Smoothies tend to follow coffee & toast. Not only do I feel nourished I know that’s also how I get my kids all the goodness they need. And they both them love. So it’s a win win. ok, so another obvious, but seriously. If you get cranky, stop to think if you’ve drank enough water in your day. I know I usually don’t, and often find myself moody or sluggish. So I fill up my cup and chug it down. this isn’t an everyday thing and I need to remember about it more, but if I’m feeling really overwhelmed or anxious, adding some motherwort tincture to my water really helps. It’s a natural ‘sedative’ and really helps to calm nerves.A fellow momma friend recommended it to me and actually gave me a bottle of her homemade stuff. i need food. I get hangry, shaky & nauseous if I don’t eat when I first feel hunger starting. So I always make sure to have a snack close at hand and it gives me the boost that I need. Dance it out. Sing it out. Move it out. If I’m feeling moody or stuck in frustration or like all I’m doing is yelling at my kids, I’ll often put on music & blast it loud. And we dance. My kids and I dance around the livingroom, and within minutes I already feel better. since having our garden and it producing lots of goodness, the simple act of just going in there and seeing what is growing day to day fills me with happiness. Not to mention the amazing food we get to eat fresh every day. yes, we do it naturally and often don’t think about it. But I know for myself I often get caught up and tight in the chest when I’m frustrated or sad or moody. So I do have to physically stop and think my mantra: “just breathe”. It’s amazing the difference after a few deep breathes. It really does recharge. Even if it’s just for that moment..
yup. I said it. Whether it’s my own use be it texting a friend or family member, grazing through social media sites or unwinding with my shows at the end of the day, it helps break up the day. Gives me a little piece of something other than ‘mom-ming’ and an easy way to see out in the ‘world’. And yes, I do rely on my son watching his shows at certain times of the day. Usually I feel guilty about it, but lately I’ve just let it be. I know he gets it all balanced out with all the other things & outings we do. Some days are worse then others, but for the most part, it helps us both out to have those moments of calm. this is new to me. Actually very new, only 5 days in of actually doing it regularly. I’ve always wanted to become an avid meditator, because I do believe in its power, but I’ve never been able to focus on it enough. But now, at this time at least, I’m feeling more ready. I’ve been following the newest of Oprah & Deepok Chopra’s Free 21 Day meditation. I’m not really doing at the right time of day, I know, but first thing in the morning is a bit hard for me, so I do it in bed, before I go to sleep. It’s been helping me get into a deeper sleep sooner I’ve noticed, and my sleeps have been better (for a mom of two, who both still wake/stir in the nights lots, this is great!) . I hope to find other ways and times to bring meditation more regularly into my daily life, but I’m feeling excited for this as a start. as a mom, a wife, a human, I aim to please everyone. It’s an impossible task to do all the time, but I dwell on it. I let my own desires go a lot, or my own thoughts, because I want to be accommodating to others. I feel guilty if the house is a mess, if dinner isn’t planned properly, if someone is in a bad mood, if I don’t give the kids enough positive attention etc etc. It’s exhausting. So, on the days (and it’s def not every day) that I can manage to just let my guilt go, just be present in the moment, and know I’m doing the very best I can and that I do it with love, then there is no need for guilt. It’s a hard task and I ‘fail’ more times then not, but on the days that I do succeed, that’s the biggest charge of all. What about you? What helps keep you ‘charged’ throughout your day, week, or month? Previous PostKeepin’ it Green. Next PostI’m sorry. All great things! Man, I need to get back in the lots of water and meditation train. I’ve seriously downgraded in those departments and I know I could use them. I’ve never heard of motherwort, but I think I could use that, too! 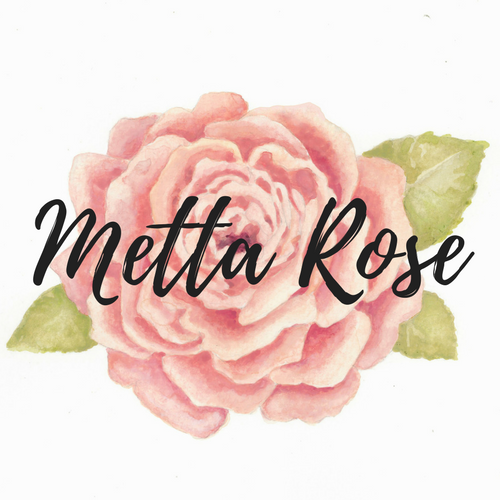 Thanks for sharing, Metta!